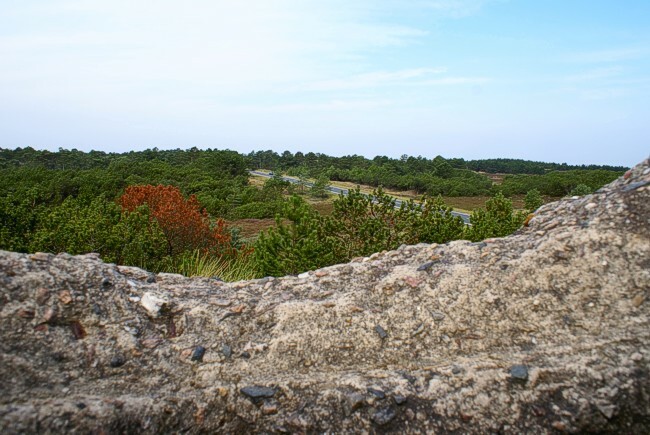 The fortifications on the peninsula were not under control of the German Commander in Denmark but under the Commander German Bight. The main functions were for radar. The airforce had a nightfighter control, called Robbe and several other radarstations. The navy had radar in the south. Several infantery strongpoints protected the approaches on land. An artillery measuring post type S 449 acted for the naval battery "Zenker" on Sylt. All pictures by Henk Adriaanse, 2008. A Tobruk covers the main road towards the peninsula.